Kylie Jenner’s ex-boyfriend Tyga was on Nicki Minaj’s Queen Radio show this week, and he told his pal that he is the reason the Lip Kit mogul is on her way to becoming the world’s youngest “self-made” billionaire. Even though the rapper is having his own money trouble (he owes nearly $1 million in back taxes), apparently, he thinks Jenner should be thanking him for her growing bank account. “Look at the before and after. She always had a platform, and she was always destined to be what she was going to be regardless, but, when I stepped in, there was a lot of codes being taught,” said Tyga. The 28-year-old explained that he was the one who told Jenner that she “could do this” and she “should start this,” and he also told her to start fixing her hair in a certain way and start adapting because she needed “black people to f**k with you.” He said that Jenner needed “culture,” and if she didn’t have black people behind her, nobody would listen, and she wouldn’t influence anyone. Tyga says he had a lot to do with all of that, but he doesn’t need credit for it. So, he doesn’t go online and tell people that he was the one who helped her come up with the colors and names for her lip line. The rapper said that he isn’t bitter, and he knows God and the universe will pay him back. He added that he and Jenner went their separate ways and are both doing well. Jenner and Tyga split in early 2017 after dating off and on for three years, and just weeks after the breakup she started hooking up with her current boyfriend and baby daddy, Travis Scott. 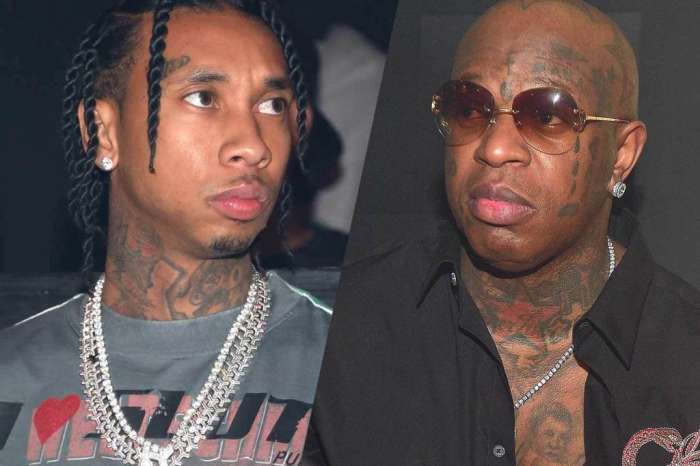 In addition to his tax trouble, Tyga owes a concert goer $250,000 as the result of a lawsuit, and his ex Blac Chyna said in March 2017 that he doesn’t pay child support. Back in 2016, he also had cars repossessed and multiple lawsuits with landlords and jewelers. But Tyga’s claim that he is responsible for Jenner’s wealth and popularity immediately met backlash on social media. Listeners of the radio show quickly slammed Tyga for his comments, calling it the funniest thing they had ever heard. One fan said he was “delusional,” and another wrote that they had no idea who Tyga was until he dated Jenner. According to Us Weekly, Kylie Jenner has not responded publicly to Tyga’s remarks. As for how Tyga feels about Scott, he says the he “ain’t got no beef with him,” and it’s his time right now.